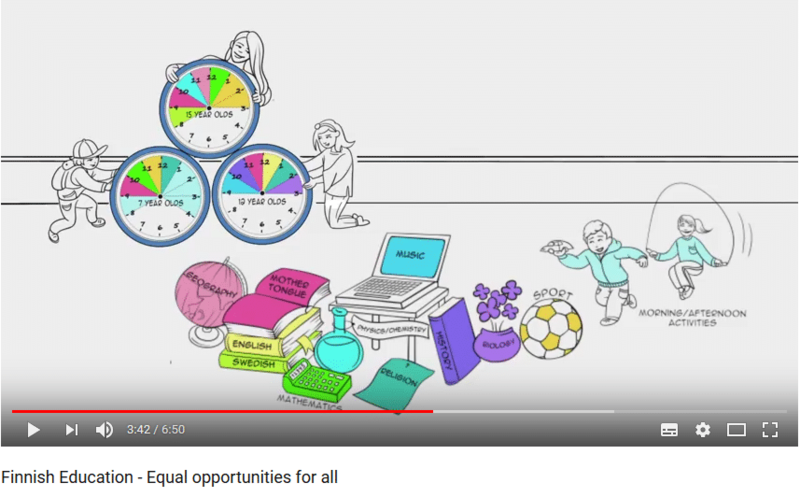 The video is made by the Finnish Ministry of Education and Culture. All children residing permanently in Finland are required to attend comprehensive school. Compulsory education lasts ten years. It starts at the age of six and ends at the age of fifteen. 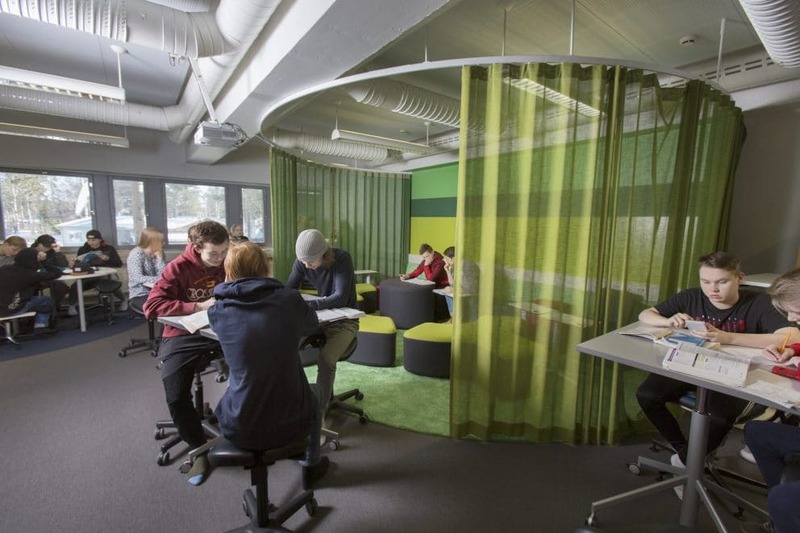 Almost all schools are public, there are very few private schools in Finland. Most pupils go to a municipal school near their homes. Education from pre-primary to higher education is free in Finland. The textbooks and education materials are free. In addition to that pupils also get a free school meal every day. Health care services are free as well. The school hours vary somewhat from year to year, but the autumn term begins in mid-August and ends a few days before Christmas. The spring term begins on the first weekday after 1 January and ends in the beginning of June. The Programme for International Student Assessment (PISA) is an international study that was launched by the OECD in 1997. It aims to evaluate education systems worldwide every three years by assessing 15-year-olds’ competencies in the key subjects: reading, mathematics and science. To date over 70 countries and economies have participated in PISA. What is so special about Finnish education? What are the secrets behind the excellent learning results? You are warmly welcome to visit our educational environments and learn with us. Cooperation and the sharing of know-how is the key to success! 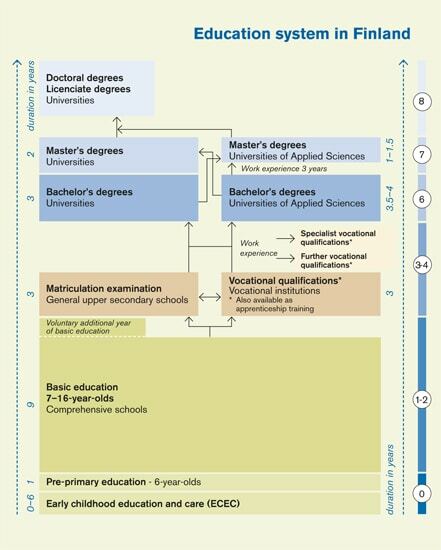 Are you looking for information on education in Finland? The page of Ministry of education and culture gives a list of the Ministry’s links to brochures, publications, videos and other presentations on education in Finland. More brochures in different languages relating to education you can find on the webpages of the Finnish National Agency for Education.